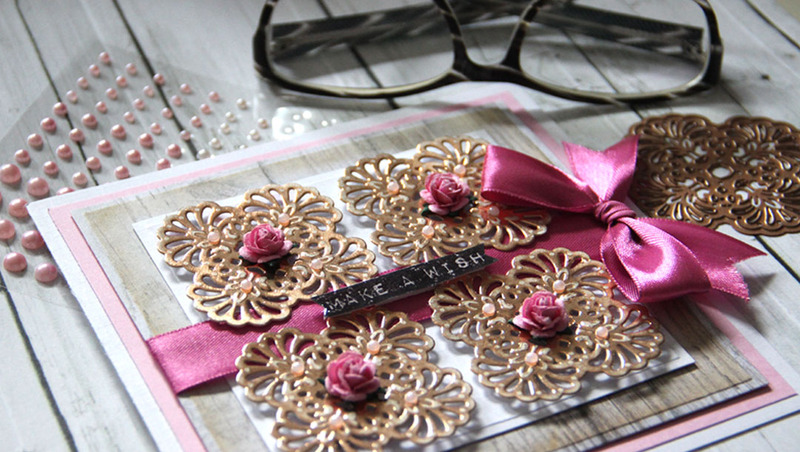 Hello everyone, Yvonne here showing you how to make festive card with a repeat pattern using the Spellbinders® S3-253 Die D-Lites™ Ornamental Accents Etched Dies set. 1. 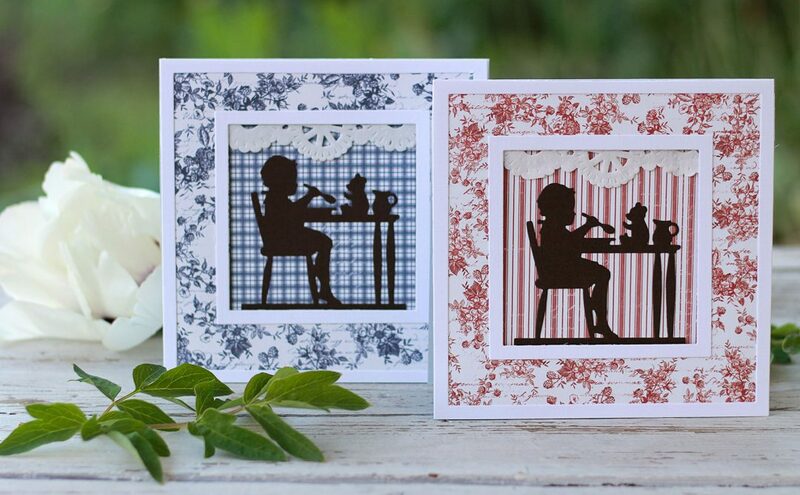 Cut/emboss 6 x 6″ Matting Basics A Card Creator Etched Dies Die #6 (with # 1 being the smallest die-template) from patterned paper. 2. 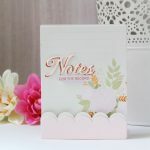 Leave the patterned paper in the die and lightly ink (using brown ink) the inner edges with the T-001 Tool ‘n One™ and its Foam Applicator – Circle for Tool ‘n One™. Glue onto the pink square. 3. 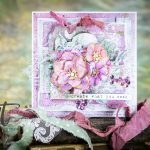 Cut/emboss 6 x 6″ Matting Basics A Card Creator Etched Dies Die #4 from white cardstock and onto the patterned square. 4. Fold pink satin ribbon around en glue the ends to the back of the patterned layer. 5. 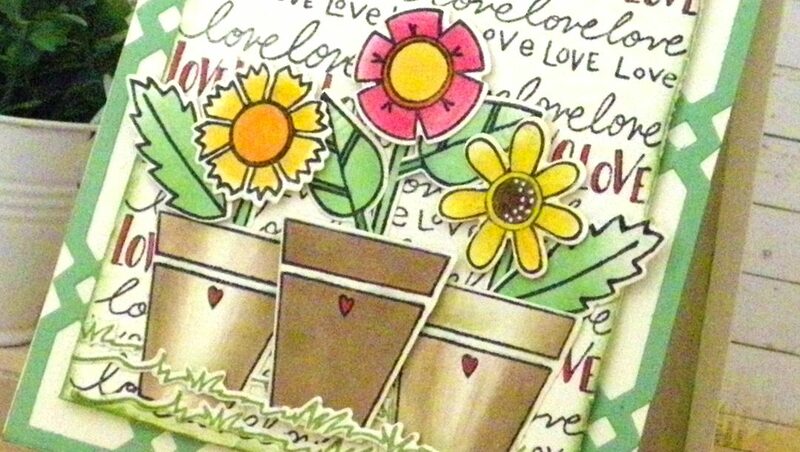 Cut 6 x 6″ Matting Basics A Card Creator Etched Dies Die #7 from pink cardstock. Glue behind the patterned paper. 6. 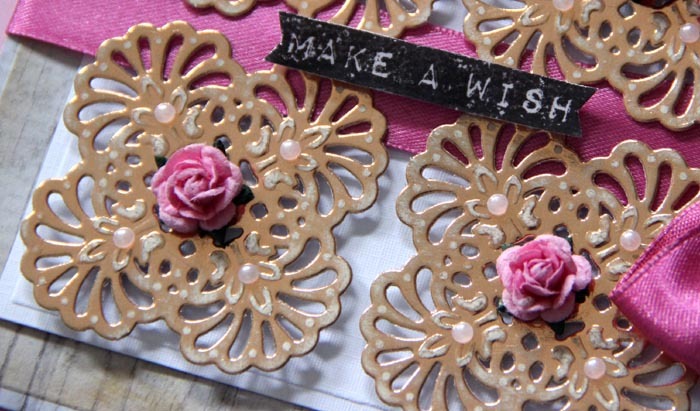 Trim white cardstock to size 11¾ x 5⅞” and fold to a card base 5⅞ x 5⅞” and glue the layered squares upon. 7. 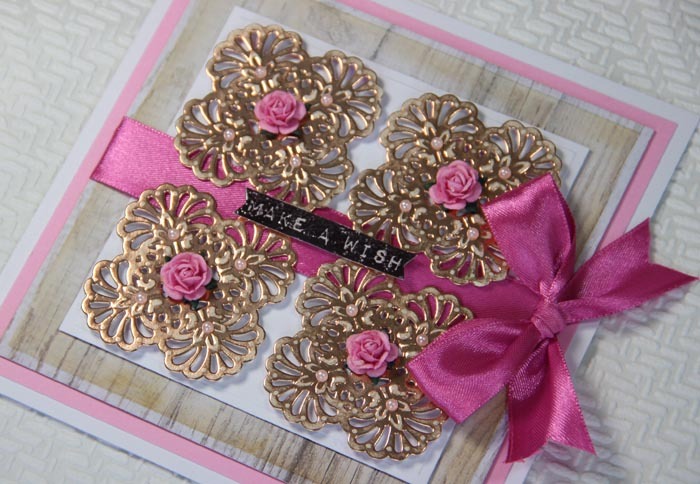 Cut/emboss S3-253 Die D-Lites™ Ornamental Accents Etched Dies four times from copper cardstock. 8. 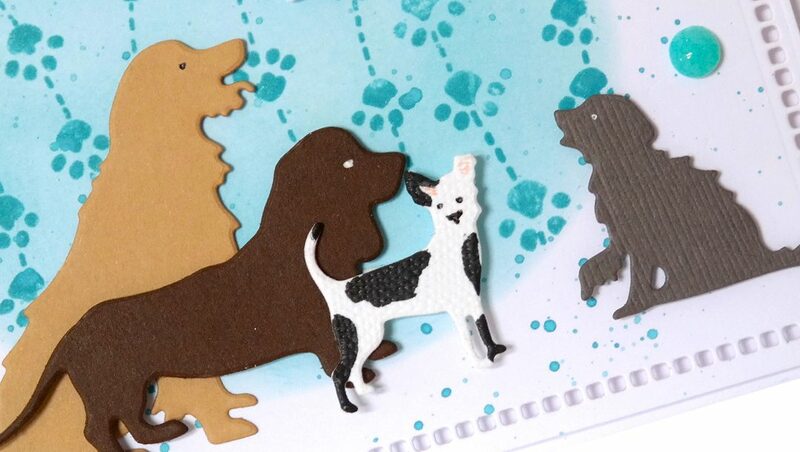 Sand the die-cuts slightly to give them a worn look. 9. 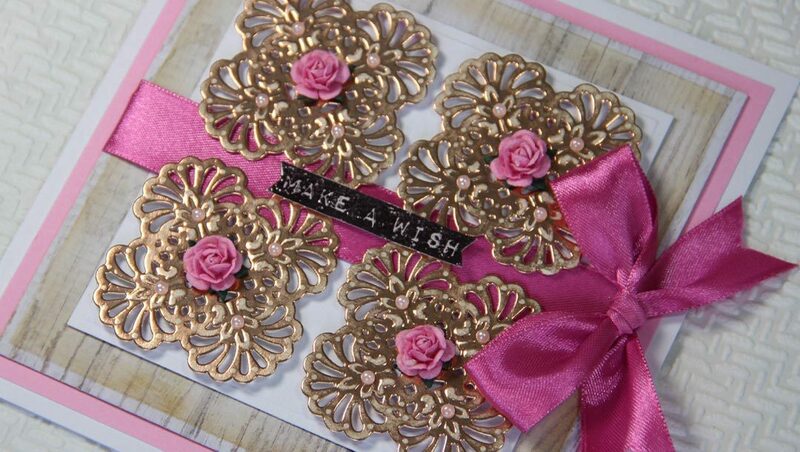 Glue the Ornamental Accents upon the card base using 3D foam squares. 10. Embellish with self-adhesive pearls,mulberry roses and a satin bow. 11. Finally glue upon a stamped sentiment using 3D foam squares. 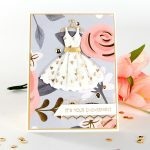 And voila, ready is your elegant and festive card! Thanks for stopping by and wishing you happy crafting!